Hera is the best synthetic hair wigs factory, which our synthetic hair wigs are durable and heat-resistent synthetic fibre. 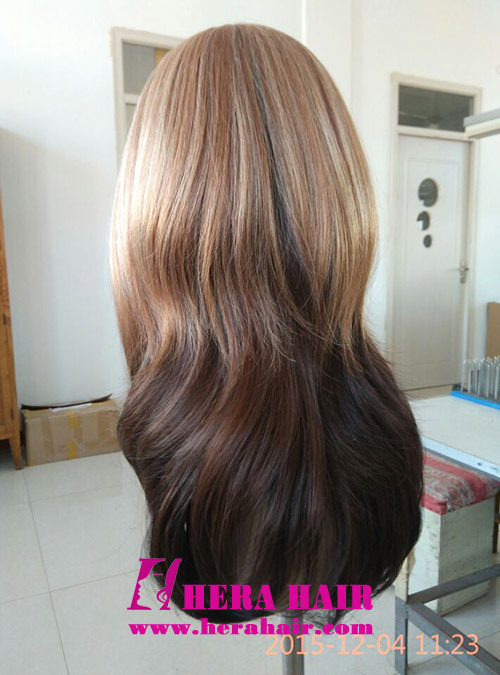 This ombre color synthetic hair wigs with bang are not real ombre color, which we have not dyed the synthetic fibre to ombre color, we just use two color synthetic hair and make the final effect like ombre color. 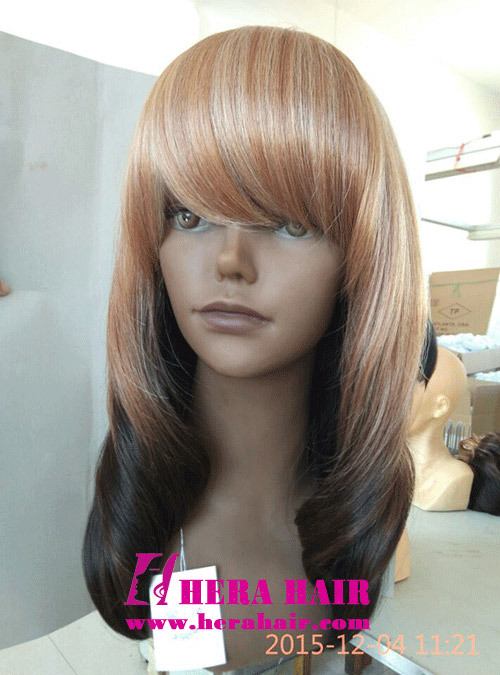 As professional synthetic hair wigs factory, we can do any kinds of synthetic hair wigs, mixed color synthetic wigs, Piano color synthetic wigs, Ombre color synthetic wigs, highlight color synthetic wigs etc. If you can describe your requirement clearly, we can manufacture the synthetic wigs what you want. 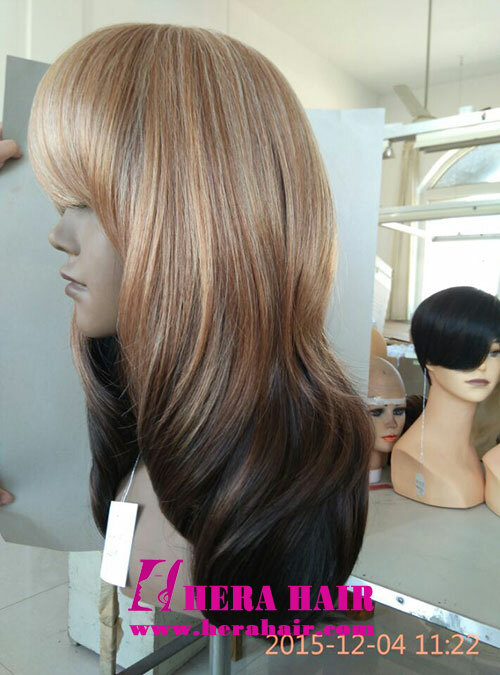 If you want to wholesale synthetic hair wigs at cheap price, please feel free to contact us by sales@herahair.com.